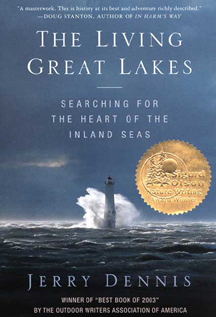 Acclaimed author Jerry Dennis will discuss his book and offer his own thoughts on the Great Lakes and his personal 4-week journey through the Lakes as a crew-member on a tall-masted schooner. Dennis’ book, has been chosen as the focus of the 2010 Ann Arbor/Ypsilanti Reads program. A book signing will follow and books will be on sale at this event, courtesy of Nicola’s Books. HRWC will be on hand with information about the Huron River watershed. Please join us!